Meet my new Yoda, Carol Barnier! So, it's Day 2 at Teach Them Diligently in Nashville, and I have yet to go to my first session (click here for Day 1). That's right, haven't heard a single speaker, but I can tell you which booth has the best price on the My Body book that we'll use with Classical Conversations next year. He drops off the kids at his parents' and makes the two-hour drive to gently guide me out of the shiny Exhibit Hall before I spent all the girls' college money to spend some quality time with me. He wants to hear the session on how to teach your distractable child. Hmm... well, okay. I've seen everything in the Exhibit Hall like a gazillion times, so sure, why not hear a speaker or two. Raise your hand if your child falls out of her chair all the time. Hands float up all across the big room. Lots of hands! Wait a minute... Mary falls out of her chair constantly. She doesn't even realize she's doing it until she hits the floor. And she doesn't realize what's going on. . . because. . .
As Carol talked more about the crazy (and hilarious) things that distractable children tend to do, I realized that she was talking about Mary. I was hanging on her every word; I wanted to know how to better teach and relate to this different child (and 'different' does not mean 'bad,' it just means different. More on that in a minute.). Yes! That's my Mary all the way! 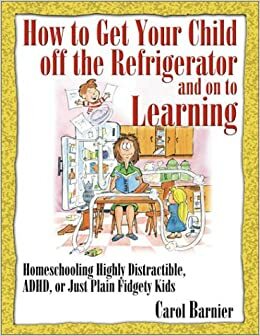 Carol wrote her book after homeschooling a son with ADHD, but the ideas and tips laid out in this book (and her session) can be successful with any child who has trouble focusing. Click here to check out her blog, too. Ready for some tips she shared during that first session? Well, I'm going to share some of my favorite notes from her talk, but if you want the whole kit-n-caboodle, you'll have to just get her book. It really is inspiring with great practical tips; I know you'll love it if your kids are anything like mine. Things like silly putty (I picked up some Thinking Putty at one of the booths for this. It's similar to silly putty but never dries out, comes in fun colors, and it's made in America by people with disabilities. Sold! 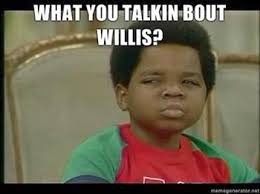 ), Legos, sorting puff balls, basically anything that is mindless and repetitive. I've found that Mary does indeed listen better when she's in motion. In her book, Carol also has suggestions for incorporating whole body movement and manipulatives into learning, as well as a bunch of other practical ideas and games. Let me pause for a second and go back to the 'different' thing I mentioned above. My child IS different (well, actually both are - lucky me! Just kidding, just kidding!). "You must grow comfortable with the fact that this child is different. Others may not see it. you cannot depend upon their assessment of your child. They will try to convince you that it is a discipline problem or that there must be "trouble" at home or that you should eliminate wallpaper paste from his diet, etc. But I have learned time and time again that what works for most children often has little bearing on what will work with my child... If we expect our children to be like all other children at a time when they simply can't, we lead these precious kids to believe they're a disappointment." (pp. 16, 20, emphasis mine). Do you see now why I love Carol?! I am the Keeper of the Keys. it's not my kids' fault. Well, let me show you what I'm talkin bout. Shnoodle and popsiwackle equal moonhyde. No? 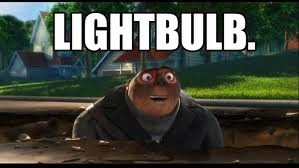 Hmmm... Maybe if I say it slower and little snarkier perhaps? Get the picture? When that happens, we need to toss that key for the moment and try another one. As the keeper of the keys, I can present the information in different ways until Mary understands. After all, there's more than one way to learn something. Don't assume the method is correct and the child is broken. Now, Mary also has to take some responsibility for her learning, of course. When she doesn't understand something, instead of pitching a fit, she needs to tell me to try another 'key.' Carol rightly says that the only limitation to this strategy is my child's maturity (obviously, a three-year-old can't respond to this the same way a seven-year-old can). There you have it. That's pretty much my TTD Day 2. I met and fell in love with Carol Barnier. I went to all of her other sessions; I didn't even bother listening to any other speakers. Just Carol. And I learned SO much! 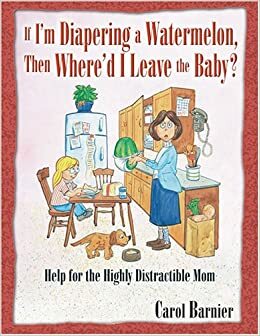 If I'm Diapering a Watermelon, Then Where'd I Leave the Baby? : Help for the Highly Distractible Mom was sold out at her booth, so I wasn't able to pick that one up. However, I'm not that distractible (except when I'm on the computer or in the Exhibit Hall), which has made dealing with a child who is all the more challenging. But, I've heard it's awesome, and the reviews on Amazon are great. So, if you're interested, Carol also has a book for the mamas! And be sure to check out Carol's blog for other books (one on different learning styles - I did get this one but haven't had a chance to read it yet - and one for parents of Prodigal children), CDs (including a recording of the session talk! ), eBooks, and articles (she's hilarious, y'all). Do you have any highly distractible children crawling on top of the refrigerator in your home? If so, I'd love to hear your tips for dealing with these unique challenges. Did you go to Teach Them Diligently this year? What were your big take-aways? I hope you enjoyed my Day 2 recap! I'll be posting about Day 3 soon, so check back! And be sure to hang out with me on Facebook, too. Did you see the picture I posted on there from Day 3? I had the blessing of meeting my other Yoda in Nashville! Eeeek! Go check it out! Melody, thank you for sharing this! I love the "keeper of the keys" illustration! So I need to borrow this book too!! I had found Carol's books prior to meeting her....and I was SO excited that he was going to be at a homeschool convention in my area. I wanted to meet her, but thought I would just cry all over her ~ because she KNOWS my child. Without having ever met him. I adore Carol's books and hearing her speak. Her presentation on innate preciousness was literally life changing for me. It clarified and put into words, things that had been in my heart for years. Met Carol at a conference - she was talking about "Don't Miss the Gift in This Child" - is s/he still a gift when s/he does.... X? ...Y? ...Z? Thankfully, YES! was her answer. *tears* I have been struggling with discipline frustration & wanting to see my child as a gift... Carol spoke to my heart. She has so much wisdom to share - Yoda is a perfect analogy! YES! I heard that talk, too, and it was FABULOUS! There were many tears (from many people) during and after that session, but also MANY laughs. Carol is such a great speaker! SO funny without lessening the importance of her topics. 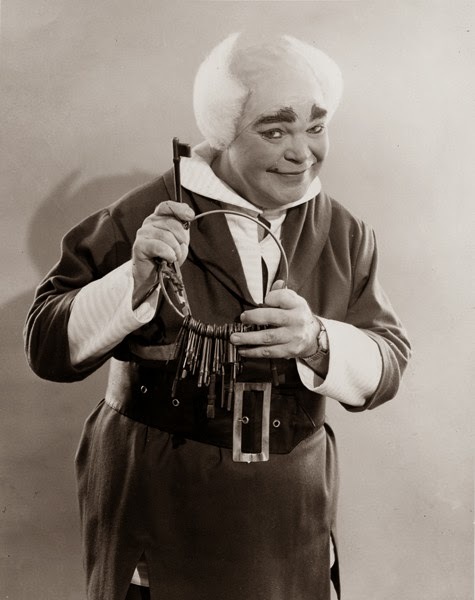 Melody - boy you just shared all my secrets! 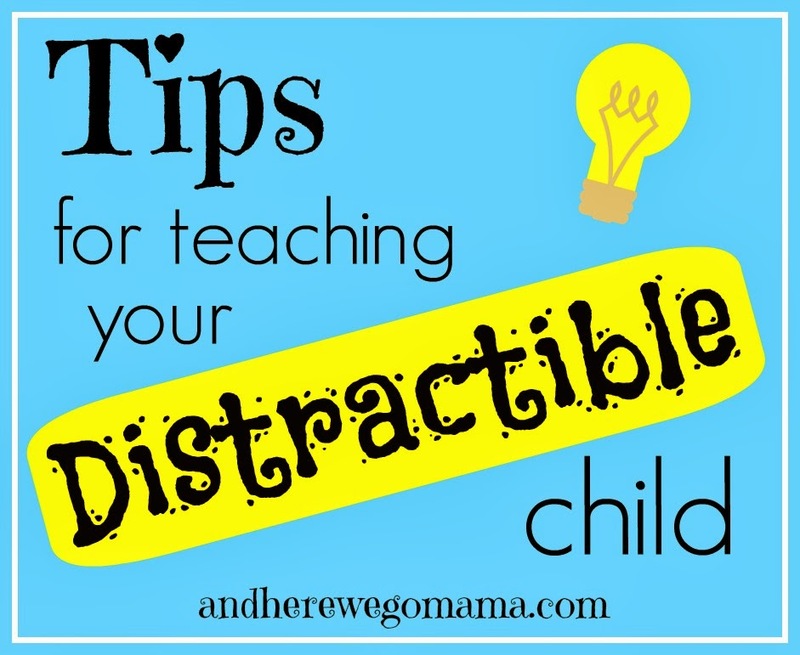 LOL :) Having two kiddo's that are driven to distraction, I found that things like my list http://www.solagratiamom.com/2014/01/the-grammar-stage-creative-ways-to.html were all born out of dealing with my own distracted ADHD kids for years and figuring out how to teach to them. As a Tutor, I found it didn't matter what sort of kid you had in class, they ALL love these things regardless - so it helps to make those more "moveable" kids you may get as a Tutor (or have as a child) more able to be successful in class, when you make it "creative" as I call it. :) Hugs - thanks for sharing, friend! Yaaaay! These ideas are awesome! !